Originally, World of Warcraft didn't have loot trading. It was only added when the Wrath of the Lich King expansion came out. But last year, when Blizzard discussed WoW Classic at Blizzcon, they explained that loot trading was one of the features it would have at launch. Players were worried about this, as the potential exists for the system to be exploited by groups of players collaborating to deny loot to solo players who've joined them. In response, Blizzard community manager Kaivax posted to the Blizzard forum to explain the limits on how it will work as, "we've decided that the two-hour loot trading system in WoW Classic will only apply to soulbound gear that drops in raids. Soulbound loot that drops in five-person content will not be tradeable at any time." 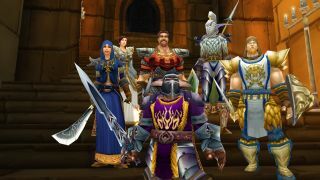 Blizzard also recently announced that WoW Classic will be rolled out in six phases.